My son volunteered to wash dishes last night. (*ahem* teenage son) This makes me so happy I can hardly stand it. As soon as I leave the room, the Handy Man turns the TV to ESPN or some other sport-report-clip-thing. When he leaves, I turn it to news. Or search to find an episode of The Big Bang Theory. Or Friends. All the times that I've gotten a flat tire, only once has it happened on the road. Every other time, it's been at home. I'm just lucky that way. Maverick now has styrofoam cups for my diet Coke. I feel a bit like they did this just for me. Because I'm probably their best customer. This girl has my heart. (Yes, all of my children do. Of course.) But there is something undeniable about the connection between female hearts and minds. Our spirits are entwined in eternities. A golden thread binds us. From the moment the ultrasound tech said those magical words, "It's a girl." my soul has known her. My daughter. My sister. My friend. 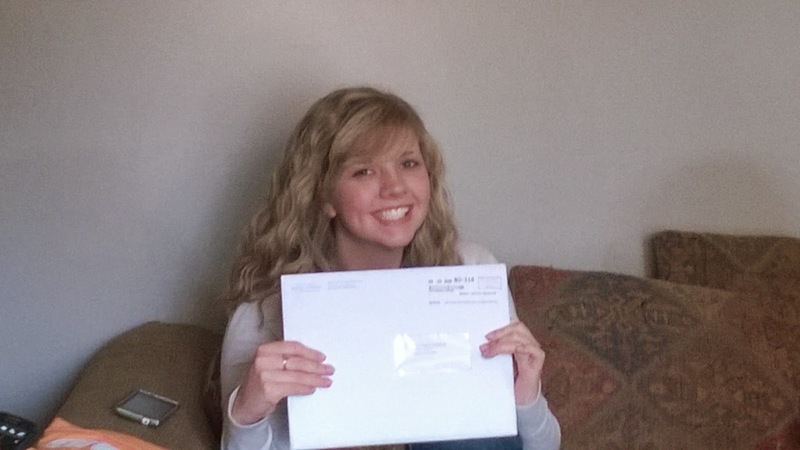 A couple of years ago Sadie decided to go on a mission. Often, when people heard this, their reactions were heavily seasoned with doubt. "Oh, you're thinking of going?" Or her favorite, "You'll be married by then." Others may have doubted. I never did. And neither did she. After months of getting 'stuff' done, including getting her wisdom teeth pulled, her papers were finally submitted three weeks ago. And then we waited. One week ago, the big white envelope arrived. The school's spring break happened last week-- we all stayed home. Which of course is no break for me. I spent a lot of time on social media and got to see all the people who did fun things during the kids' week off. A couple friends took their families to southern Utah, and some went to California. Someone even went to Hawaii. I am a soul, or a spirit. And, as a spirit, I am eternal and glorious. I was given a body to house that spirit, and, someday, my body will be as eternal and glorious as the celestial soul it encompasses. This is one of those truths that I have to relearn over and over. So I think it bears repeating. Our bodies are important. If not, Satan wouldn't care what we did with them. But he does.